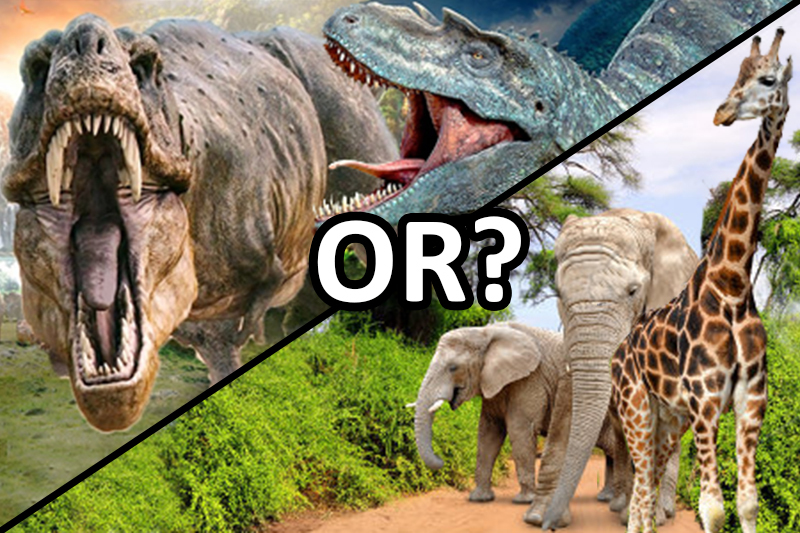 Whether or not dinosaurs really existed is up for debate. However, a couple of facts are undeniable: there are species of animals which have gone extinct, and fossils have been found. However, are these animals really the remains of dinosaurs? How many animals really went extinct? Did they all go extinct at once? How long did it really take for the fossils to form? These and many other questions are completely misunderstood due to misinformation and false information given by evolutionary scientists who want to propagate dinosaur theory. However, as you will see below, the truth brings many issues about dinosaurs as we see them in the movies, and their potential existence, and dinosaur theory in general, into question. The Truth Why? Because DNA doesn't last very long at all. Scientists are even unable to extract enough DNA from a Woolly Mammoth [ 1 ], which went extinct just a few thousand years ago, even though there have been Mammoths which have been near fully preserved. Jack Horner, a life-long paleontologist and the real-life guy from the depicted scientist in Jurassic park, and who is claimed to have been the driving force behind driving the theory of dinosaurs in the first place, said during a Google Talk that he has tried many times to extract DNA from supposed "dinosaur" bones but has always failed because the DNA degrades too fast [ 2 ]. In fact, DNA is estimated to only have about a 521 year half life [ 3 ]. So, even if dinosaurs existed, we could never see one in real life like they do in the movies. The Truth Actually skeletons found of extinct species are believed to be warm-blooded species [ 4 ] (or neither warm nor cold). This turns dinosaur theory on its head, since all these supposed giant megolithic things were supposed to be cold-blooded reptiles. Of course, as I explain later in this article, there is no guarantee that skulls found were even of reptiles at all, they could have been cute furry friendly animals for all we know. In fact, The Scientist Magazine says that supposed "dinosaur" bones have "nearly identical bone structure is found in mammals" [ 5 ]. Maybe they are not really dinosaur bones but really mammal bones? Ever thought of that? 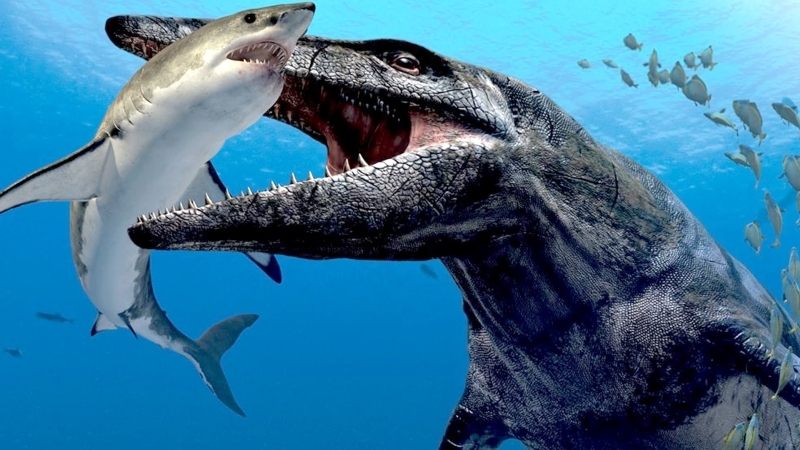 The Truth There are depictions and even Discovery Channel shows about these monolithic sea creatures that snacked on Great Whites for breakfast and Blue Whales for dinner. However, there is no real evidence for this. Remember there are also Discovery Channel shows about alien worlds [ 6 ], and it is completely CGI and essentially science fiction. Entertaining, but entirely fiction. Dinosaur shows are no different than those alien shows. Even Jack Horner admits that there is little if any scientific foundation in the Jurrassic Park movies. We do have some whale bones but it's because they washed up on shore or was displaced in a large flood. But no megalithic giants. There isn't any evidence for extinct species of marine life besides only a couple animals which washed up or fragments picked up in deep-water trawling. There certainly isn't any evidence for an ancient Mesozoic Era of sea dinosaurs 165 million years ago that somehow magically went extinct [ 7 ]. Moreover, even the Smithsonian, perpetrator of dinosaur mythology, even admits that sea dinosaurs were unlikely. BBC ran a story saying it was a debate about whether land dinosaurs also swam. The Smithsonian quickly condemned BBC for saying it was a debate because, "it isn't even a debate", because as the Smithsonian admits, the idea of aquatic dinosaurs "doesn't hold water" [ 8 ]. In fact, dinosaur mythology in general upholds the notion that there were not any sea-dwelling dinosaurs. They think there were sea-dwelling reptiles, but not sea-dwelling dinosaurs. This fact is upheld even by evolutionary paleontologists. On a side note, it is worth mentioning that recent scientific discoveries have showed the existence today of giant squids with a 7-foot head and foot-wide tentacles which have been discovered alive today [ 9 ], so sea monsters really might exist in the deep ocean. But not sea "dinosaurs". The Truth Palentologists would love to tell you how it takes "millions of years" for the bones to become fossilized. This is simply not true, a complete and total lie. In the 1980s a cowboy boot complete with a human leg bone inside were found, completely fossilized [ 10 ]. Maybe, the man time traveled 165 million years ago, got eaten by a T-Rex except for his leg, and then over the next millions of years his foot and boot fossilized! Ridiculous, right? No, what really happened is the boot and leg from a few years ago fossilized. A fossilized clock has also been found (technically, an inanimate object can't be called a "fossil" but it can undergo the same process of being encased in rock) [ 11 ]. Many things have been found from recent years that have fossilized. And these items certainly were not around when supposed "dinosaurs roams the earth" some "millions" of years ago. The truth is that under the right conditions, anything can fossilize in just a few years. Fossilized bones do not indicate anything relating to age. If you get a deer during hunting season next year, it can become fossilized under the right conditions before your frozen deer meat goes bad. The Truth Pterodactyls are a complete fiction. Giant dinosaurs like that would need a far greater wing span in order to even fly, according to physics. The Giant Quetzalcoatlus (Pterodactyls) weighed between 200 and 550 lbs (90 and 250 kg) and were supposedly as large as a giraffe [ 12 ]. Yet no complete skeleton of a Pterodactyl has ever been found, so this is all just a random guess. However, if it were true, then this giant winged reptile could only generate "9% of the minimum requirement for flight" [ 12 ]. In layman terms? The wing span of the Pterodactyl would have to be over 11 times larger Which would be kind of ridiculous. Obviously, it's impossible to have any giant "Pterodactyls". 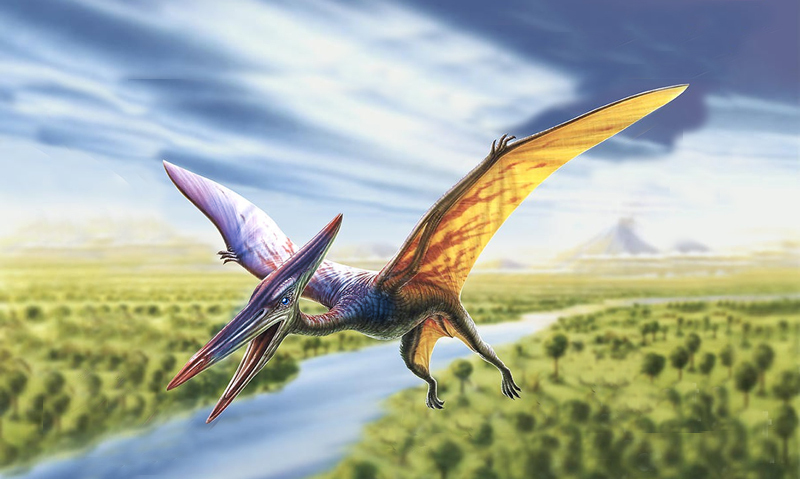 Any skulls or skeletons of flying animals that even have been found, were likely just extinct bird species, and nowhere near as large as the Pterodactyl. Complete with feathers, cute, and snacking on berries and singing songs in the morning like your common finch or bluebird. Not giant flying dinosaurs. The Truth In the early 1900s, museums were in competition to get the biggest skulls possible. This period known as the Bone Wars or the Great Dinosaur Rush was fueled by bribery, theft, and fraud in order to get the biggest bones possible and outdo the other museums [ 13 ]. So they filled up their museums with the biggest skulls they could find or make out of chicken bones and plaster. Soon, people started to think giant monolithic dinosaurs once roamed the earth. However, this is simply a result of competition among museums, and not an accurate depiction of any extinct animals that may have existed. Jack Horner said in a Google Talk that our perceived size of dinosaurs is far larger than they really were (if they existed at all) as a result of this "dinosaur rush". 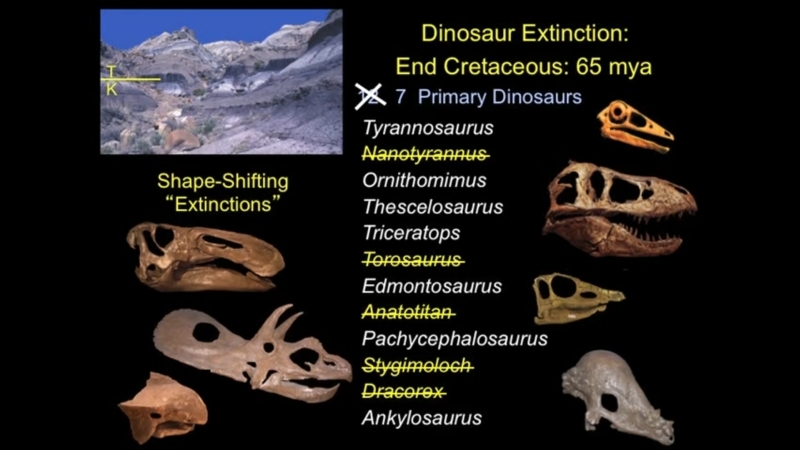 In reality, says Horner, most of the bones found infer much smaller dinosaurs [ 2 ]. 4 Dinosaurs likely did not exist all in one "period"
The Truth As we know, the "fossil record" is a total sham [ 14 ]. 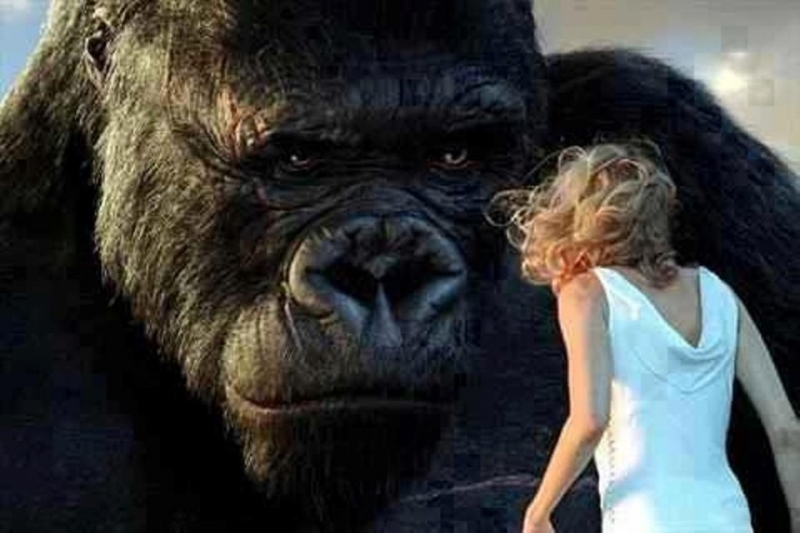 We know that extinct species happen all the time, even today. In fact, species are going extinct at an alarming rate today. It is undeniable there were species that went extinct throughout the centuries. If you find a skull of an extinct animal, that doesn't make it a dinosaur. But paleontologists love to call it a dinosaur, and to name it as a dinosaur, because, in the words of Jack Horner, "scientists love to name things" [ 15 ]. It doesn't matter whether it's accurate or not. It makes them feel important. If the giraffe went extinct a couple centuries ago and there wasn't a record of the animal previously, paleontologists would be quick to call the fossil of the giraffe as a new form of "brontasaurus" or something similar, and say that it "undeniably" went extinct something like 65 million years ago. Pfft. Even though it not only was a giraffe and not a dinosaur, and even though it would have only went extinct recently. Since there is no accurate measure of time frame for extinction, due to the fact that as the New York Times admits, carbon dating is completely unreliable [ 16 ], then it is probable that the extinct species found could have been any number of animals, and could have existed at any time within the past few thousand years. Not all at once during an "age" or "era". The Truth As I describe further in number 1, the estimate about what dinosaurs look like is really a completely random guess. Their skin probably looked nothing like the pictures and the movies [ 17 ]. 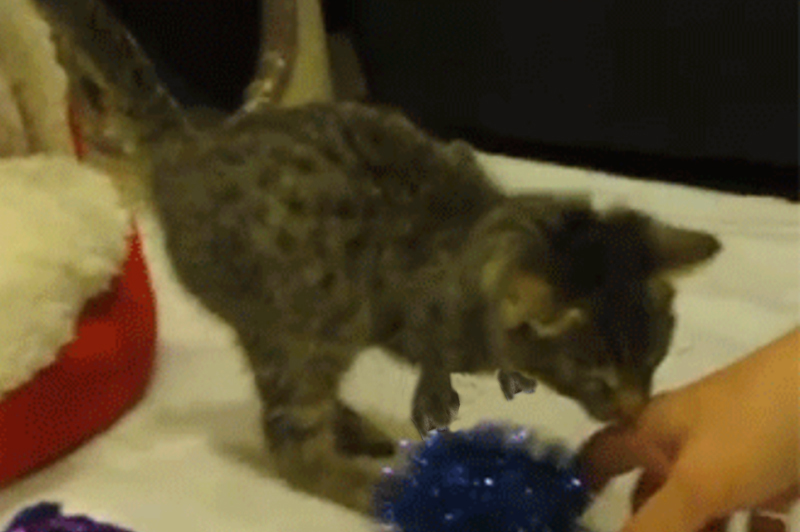 Instead of being a scary, scaly, hairless reptile, they might have instead been a furry, friendly, cute animal. The Truth Jack Horner owns a museum and has skulls of extinct species attributed to "dinosaurs". What he discovered is shocking. 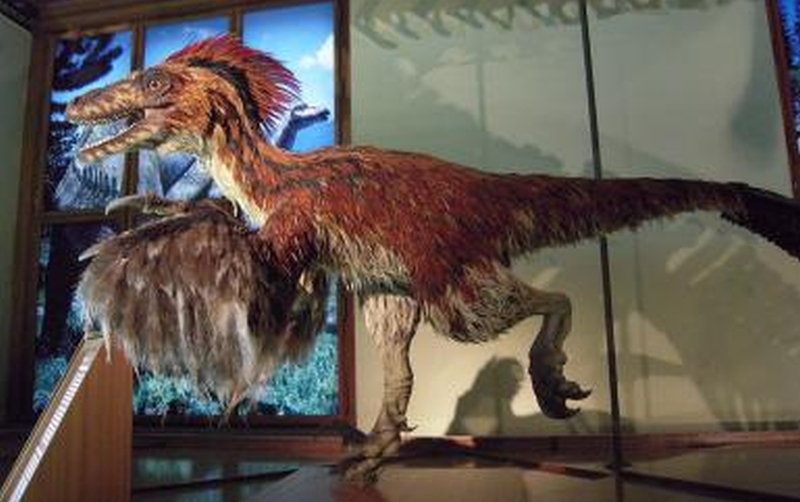 Of all the dinosaurs that supposedly existed, most were just younger versions of these animals. 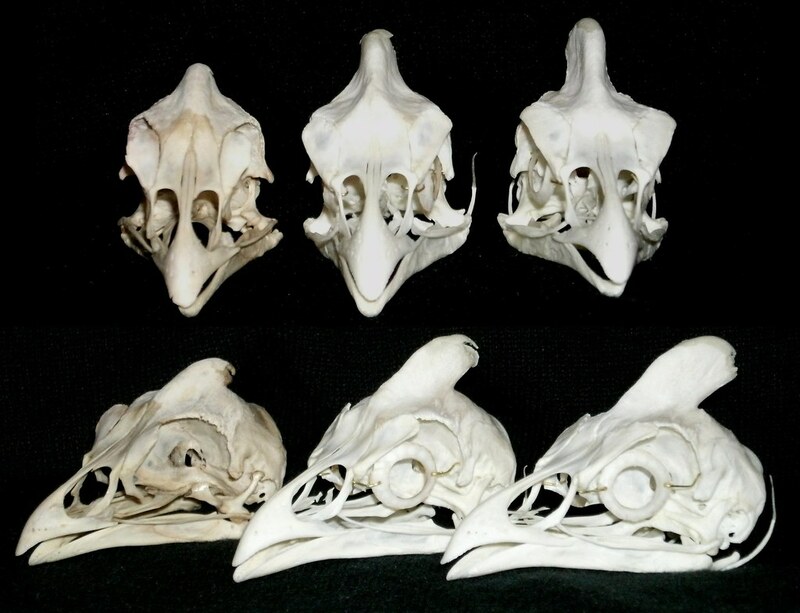 For example, the rooster (male chicken) skeleton looks very different as a chick (baby), as a mid-size chicken, and as a full-grown rooster [ 18 ]. Likewise, many animals attributed to the "triceratops" are actually all the same animal, Horner found. He looked at the bone and found the smaller animals had young bone while the bigger ones had old bone. He even supposedly discovered transition bones proving that the smaller ones were in fact from the same animal [ 19 ] (although it has been alleged that all his fossils are fakes). Horner says that out of all the main species, there are really only 7 total primary species of animals to go extinct [ 19 ]. It's not hard to imagine that over a few thousand years just 7 animals went extinct. This really throws a wrench into the Dinopocalypse (a word?) theory, since it isn't hard to consider that only 7 species of animal went extinct, especially when combined with the fact that fossils can occur in just a few years. The Truth Today there are many skeletons that look really scary. The skull of the platypus looks like the scary thing from Doctor Who, whom you forget immediately after looking away. The skull of bambi looks like a demon from hell. The skull of a bunny rabbit looks like the bogeyman. The skull of an elephant looks like a giant cyclops. The skull of a cute monkey looks like an alien from outer space bent on taking over the world [ 20 ]. Just looking at a skull can really make you think the species was really scary! However, as we know today all the listed skulls belong to the cutest, furriest, most docile and lovely creatures on Earth. Yet their bare skulls looks like demons from hell. 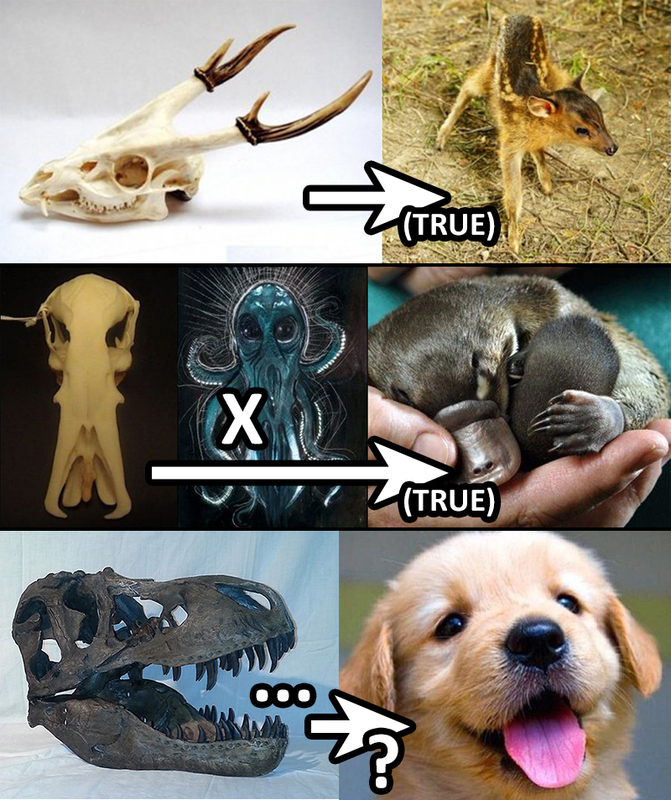 Could perhaps the T-Rex skull, if real, have belonged to a cute furry animal like a puppy dog? Very possibly. What probably happened is that any skulls that really have been found (and aren't total fakes) likely belonged to an extinct, docile species. Not giant scary man-eating reptiles. 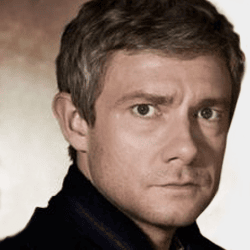 Martin, Anthony J. (2006). Introduction to the Study of Dinosaurs. Blackwell Publishing. ISBN 1-4051-3413-5, p. 66.